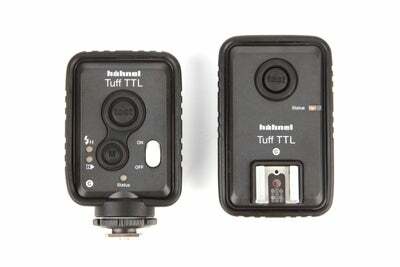 Hahnel’s latest wireless flash trigger – the Tuff TTL has been designed with durability and robustness in mind. To make it one of the toughest and most resilient flash triggers available, Hahnel has applied additional strength to the housing of both the receiver and transmitter and has also reinforced the collar of the neck on the transmitter – a notorious weak point on cheaper triggers. Not satisfied by these means of protection, the transmitter and receiver are also covered by a removable silicone rubber case to protect the units from everyday wear and tear and absorb any impact they could receive if they were accidentally dropped. With an impressive 200m range and a strong ISM 2.4GHz wireless transmission, the design of the units are made so they’re quick, simple and easy to use. The large test button enables you to test fire your off-camera flash and the M button gives you the option to remotely switch between Normal, High Speed Sync and Second Curtain Sync flash settings. We’d like to see an option to manually change frequency channels, but Hahnel pledges its digital channel matching system eliminates the risk of interference from any other wireless products that may be within range. During testing we encountered no issues firing a Canon Speedlite and appreciated being able to set the flash to High Speed Sync straight from the transmitter, saving the hassle of physically walking to the flashgun when it’s positioned further away. An on/off switch on both units ensures you don’t waste any unnecessary battery power and with the transmitter and receiver powered by 2xAA batteries, they’re very cheap to run. If you’re looking for robust and durable flash triggers at an affordable price, Hahnel’s Tuff TTL is about as good as it gets. They’re currently only available for Canon DSLR’s but we’re expecting a Nikon version to follow very shortly.